Not arguing with the linguistics (or with Linguistic ), but it makes no sense to me that an outside permission is needed for a boss to marry his own bond maid, when he can do a lot of other, less 'noble', stuff with her without anyone's permission. That is precisely the point. He is not supposed to do the other stuff! Or, perhaps the verse means, he is encouraged not to do it anymore. I don't mean to argue, but here you have two legitimate interpretations, one of which seems to suggest abrogation. As I explained before, there is no cause to claim abrogation in this case, even if you agree with my humble interpretation. The Arabs referred to a master as سيد (sire), or مولى (master). Never أهل (family). 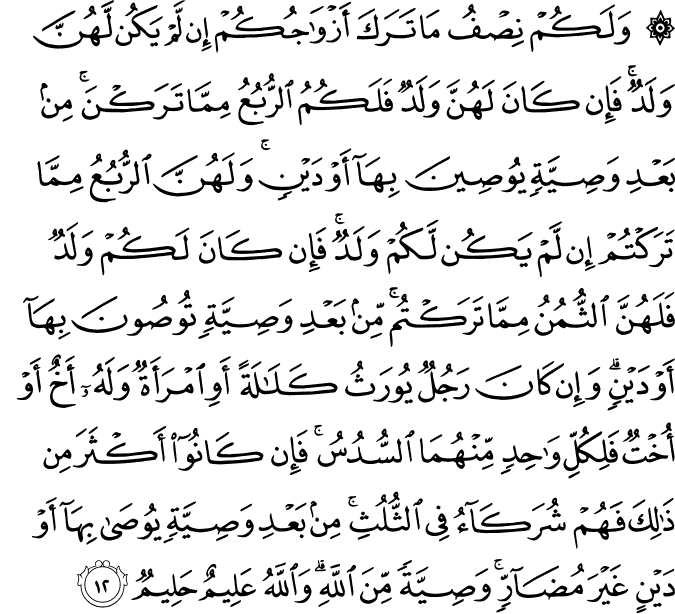 The permission the verse refers to is from her father, brother, etc. but it seems to be used in the sense of caregiver not master. BTW, I think the link to abrogation is only tangential, but the discussion makes fasting pass more easily. What I'm suggesting is that God has let that practice go on for a while because it was so deeply ingrained in the culture, like drinking alcohol. If He would have abruptly forbade it, people would have rebelled or would have turned away. Instead, He wisely stepped the believers toward freeing their slaves and, for those who could not afford otherwise, marrying their bond maids. Recall that Chapter 4 is one of the last chapters to be revealed, 92 out of 114? God's teaching was certainly geared toward chastity for both the masters and their bond maids, even marriage. Even though verses with less apparent conflict were claimed abrogated. Clearly there is no cause to claim abrogation here, because 4:97 refers to those who wronged themselves, while 4:75 refers to those who had no way out. The oppressed have a duty to migrate away from oppressive regimes if they can. 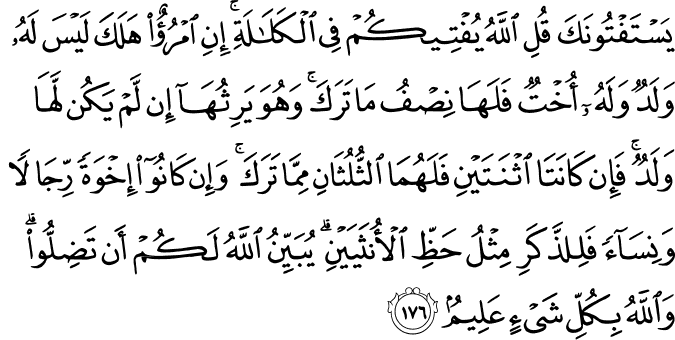 If they don't, and the result is that they neglect their religion, that's when 4:97 applies. That is confirmed by the fact that migration from Mecca to Medina was required of all Muslims who could. Then, when the Prophet (PBUH) conquered Mecca, migration was no longer required. The contingency in both rulings was the same: fitna (persecution in religion). It existed prior to the conquest of Mecca and ended then. In fact, scholars have quoted those migration rulings as a case of abrogation. For instance, Al-Ħaazimi Al-Hamdaani, in his book الاعتبار في الناسخ والمنسوخ من الآثار, presented by Sheikh Zakaria `Umayraat, on pages 160-162, quotes the hadeeth of the Prophet (PBUH) in which he says, "There shall be no more migration after the Conquest [of Mecca]; only jihaad and intention." Narrated by Ibn Abbaas and reported by Al-Bukhaari. The irony is that the Prophet (PBUH) gave the reason for the new ruling right there and then: "after the Conquest", yet Al-Hamdaani lists this case under "The migration mandate and its abrogation"! His point was that both verses talk about a decedent who died without children or parents, called in the Quran "Kalaala." He saw that 4:12 gives the siblings a maximum of a 1/3 of the estate, while 4:176 seems to give them the entire estate. Also, 4:12 seems to give a sister 1/6th, while 4:176 gives her 1/2. I explained to him that the two verses talk about two different sibling categories, as agreed on by scholars. 4:12 talks about uterine siblings, siblings on their mother's side only, while 4:176 talks about full or consanguine siblings (siblings on their father's side only). This is an interesting "missing" abrogation claim. It was never made by anyone, as far as I know, even though 4:12 does not explicitly name uterine siblings, nor does 4:176 explicitly exclude them! Yet, scholars had no problem with this issue, while other cases with much easier apparent conflicts to resolve were claimed to be abrogation cases by many scholars. 4:176 abrogated 4:12. His point was that both verses talk about a decedent who died without children or parents, called in the Quran "Kalaala." He saw that 4:12 gives the siblings a maximum of a 1/3 of the estate, while while 4:176 seems to give them the entire estate. Also, 4:12 seems to give a sister 1/6th, while 4:176 gives her 1/2. Interesting case indeed, and it needed an expert in inheritance law to explain it properly. It seems that the algorithm for claiming abrogation starts from a 'basis', a narration of some kind, then synthesizes an argument about conflict. In the absence of a narration, the argument would be the opposite, explaining away the conflict. This means that the abrogation claim is really about the narration, not about the conflict. I found several abrogation claims where no narration was cited: 9:5/39:3,39:15,39:39-41,39:46. As mentioned in that post, Dr. Zayd asks the obvious question, "How could its claimants justify their claims? Can abrogation be claimed by Ijtihaad (mere analysis)?" Some people must have disliked Chapter 39. It is a subtle point. Reasoning about what to do is followed by a resolve to do something, followed by implementing it or failing to implement it for reasons out of our control. IMHO, the verses address the reasoning part, for which we should follow the guidelines dictated by the religion. If we don't do that, we may think we are doing the right thing but we are in fact responsible for what happens because we didn't follow the guidelines regardless of our "intentions." The hadeeth, on the other hand, addresses the post-reasoning phase. You already decided to do X in order to achieve Y. Whether you succeed or not, you are accountable for X and Y.